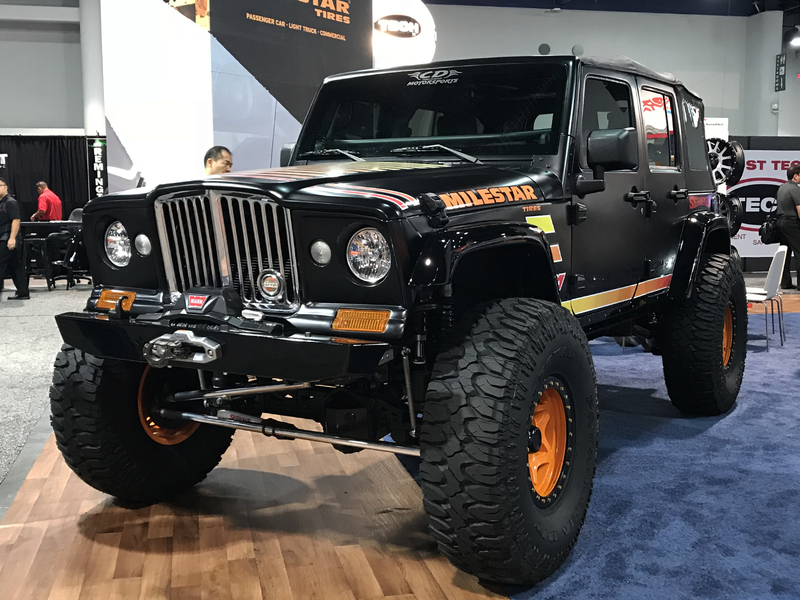 Taste? 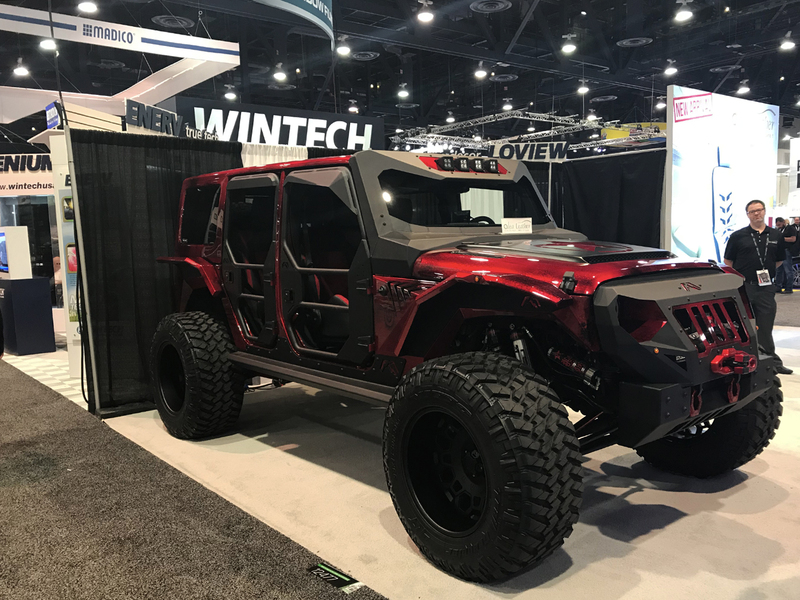 We don't need taste where we're going. 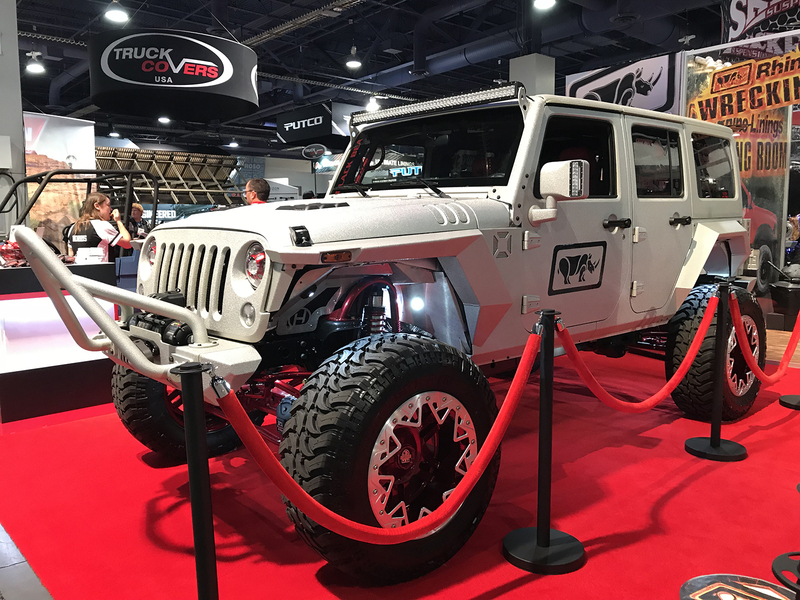 There's always a nugget of important news buried in the expansive of 40-inch rims and valve manufacturers that is SEMA, and this year it was the first pictures of the all-new and much-anticipated 2018 Jeep Wrangler. 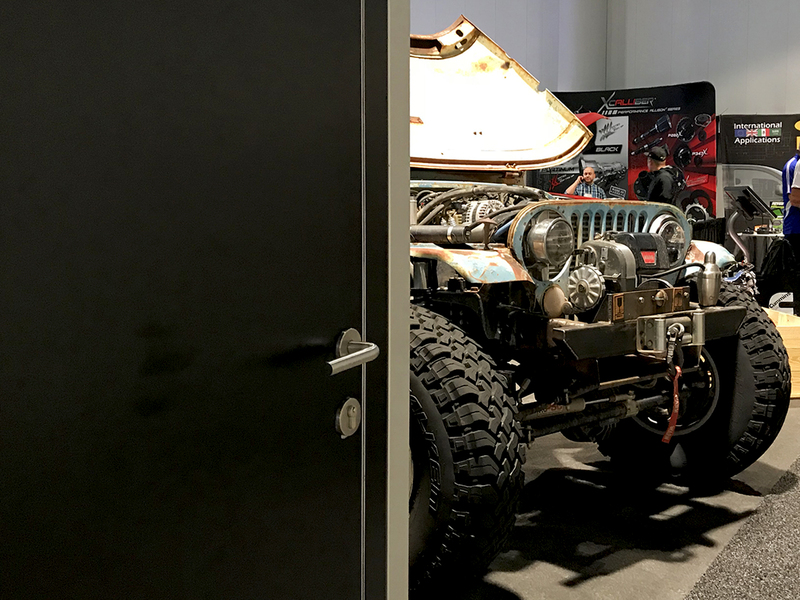 It was a bit of a surprise, considering the truck itself will be unveiled in the metal next month at the Los Angeles Auto Show. 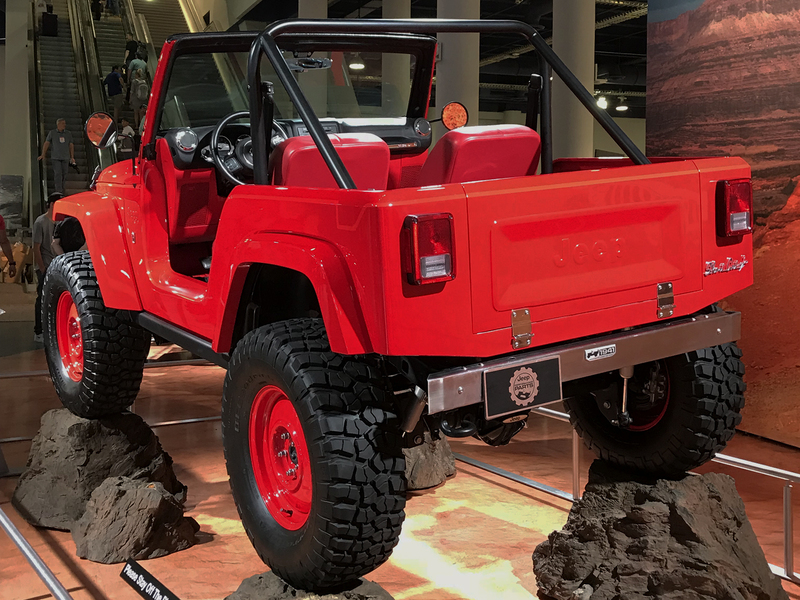 Then again, maybe crowding out our first glimpse at the clean lines and sensible tires of upcoming model with a convention center's worth of X-treme custom Wranglers was a strategic move after all. 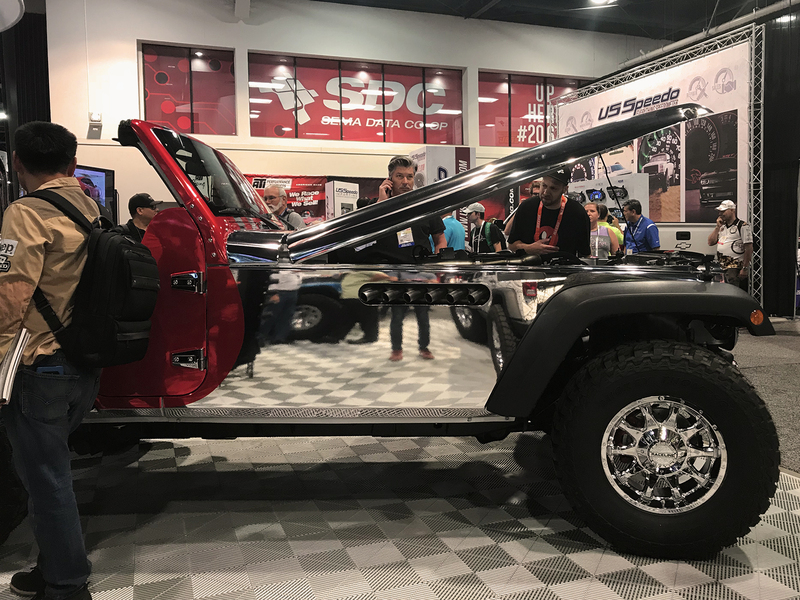 Compared to many of the designs spread across the million-plus square feet of show floor—ranging from I'd probably drive this to This scares me—the new model stood out like, well, the only stock truck at the Specialty Equipment Market Association show. 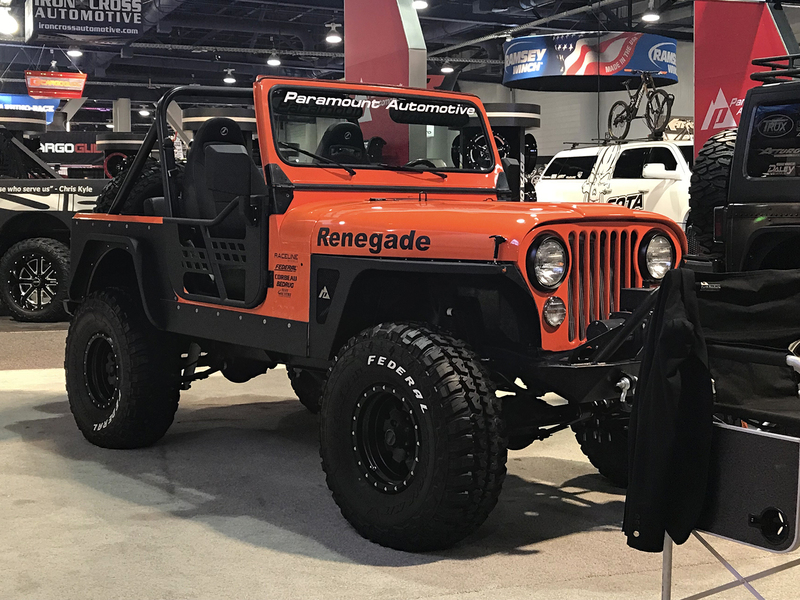 Where do all these 'roided-out Wranglers come from? 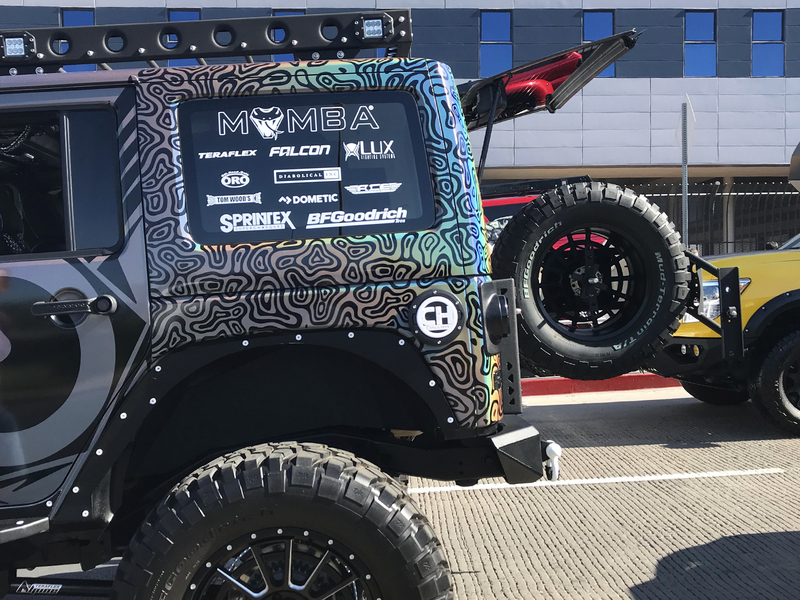 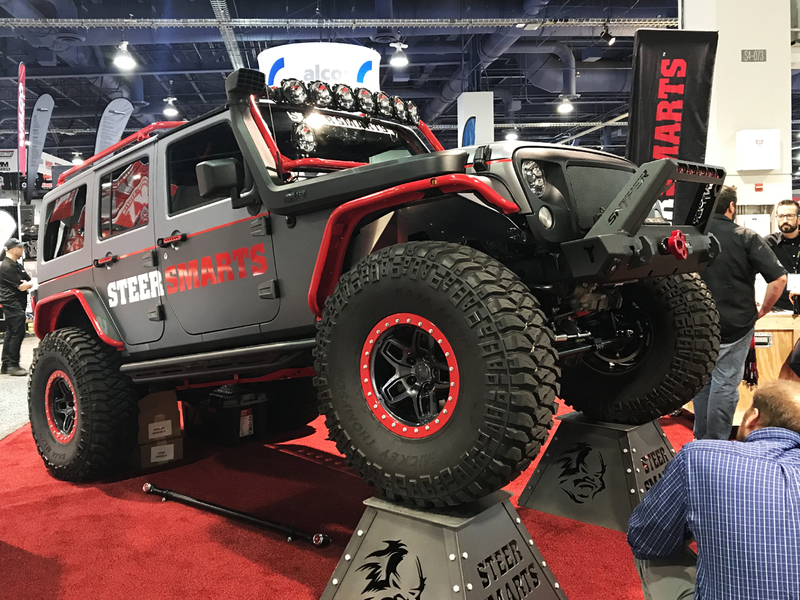 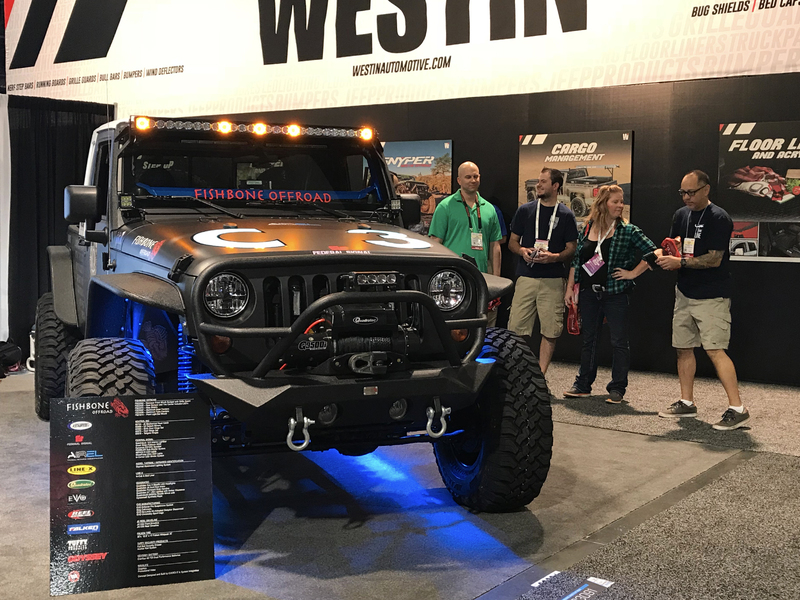 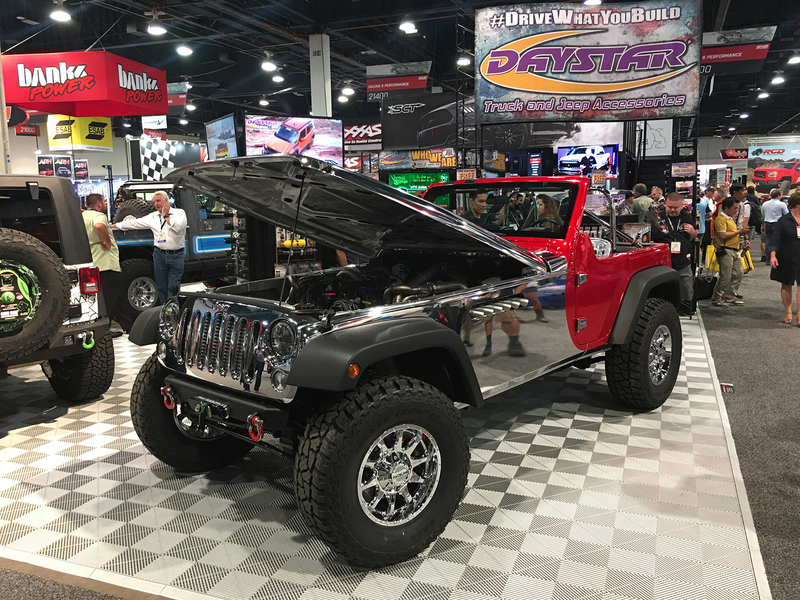 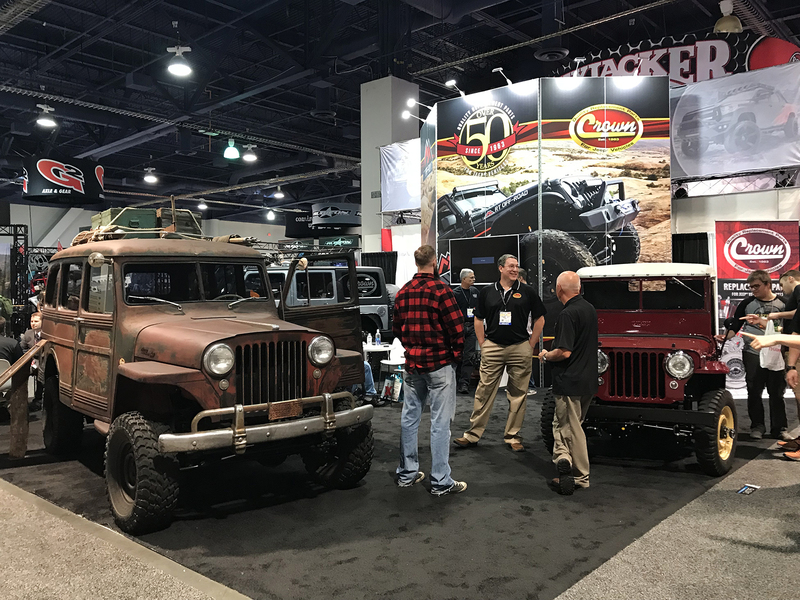 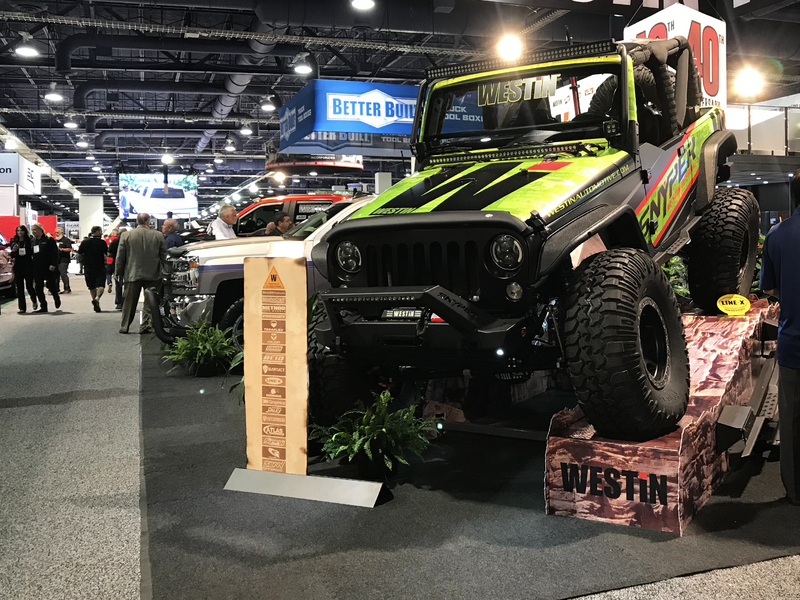 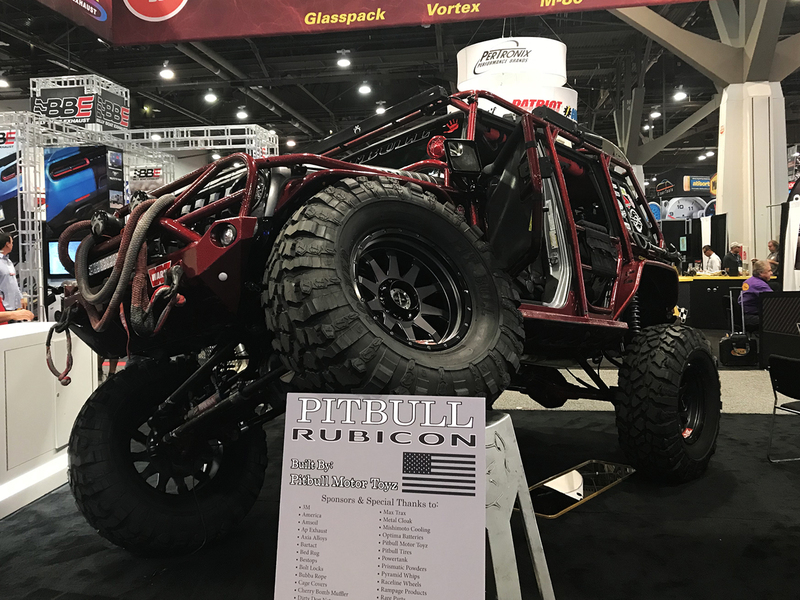 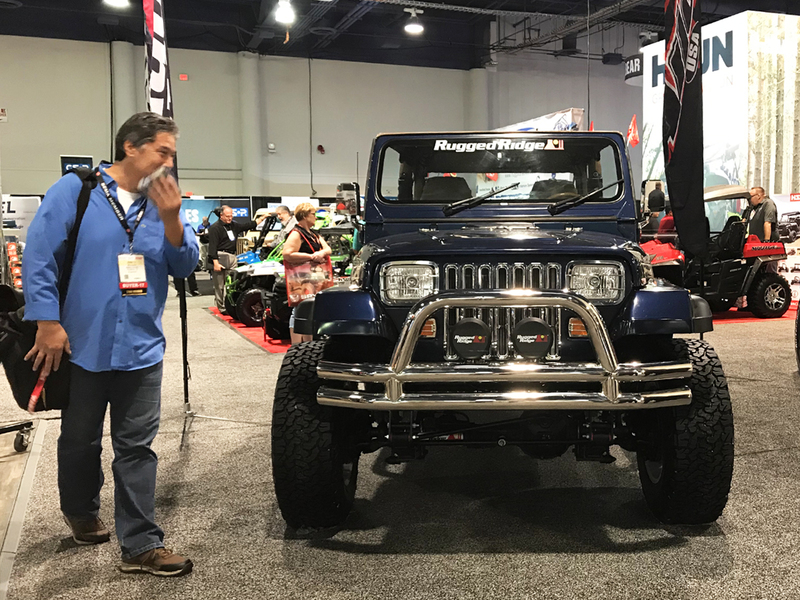 SEMA is a trade show for the entire aftermarket, which means everything from tire manufacturers to supercharger shops to off-road garages have to vie for your attention on the same floor. 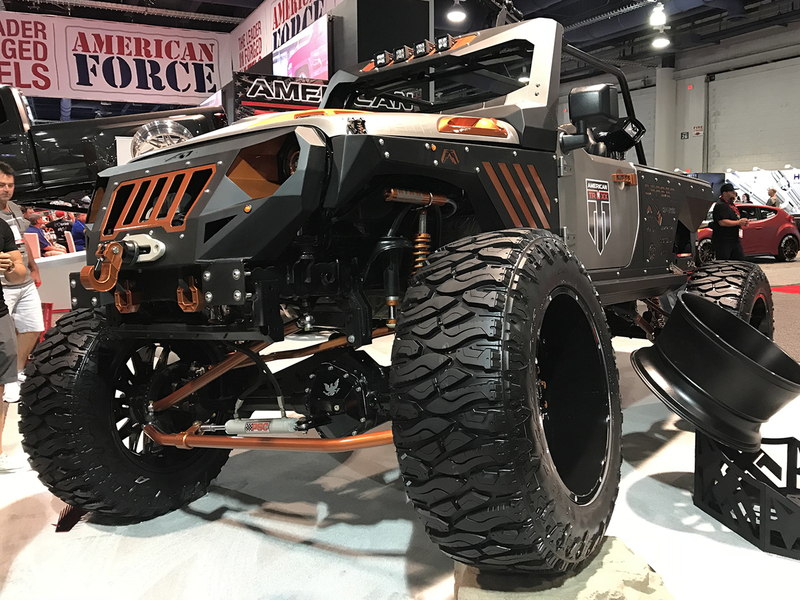 To stand out, companies often team up to create these crazy builds in hopes of making you stop and stare. 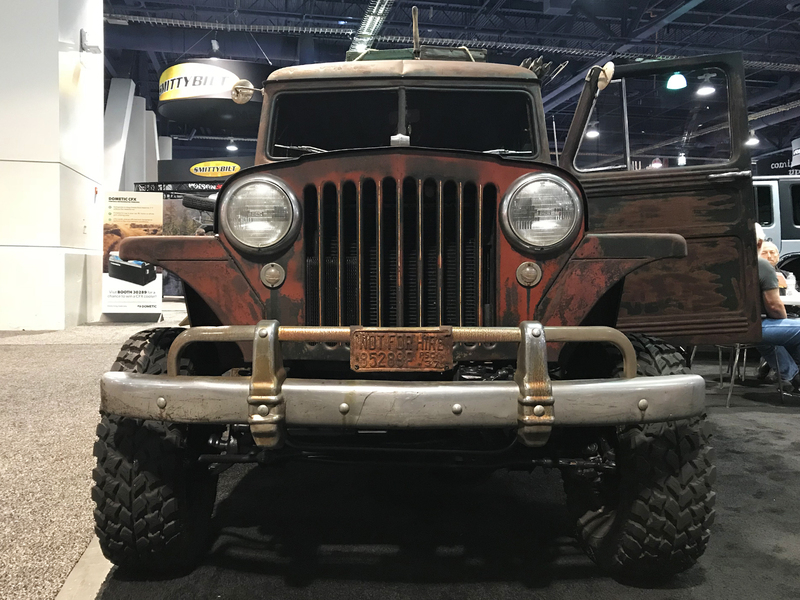 Some drive, some don't. 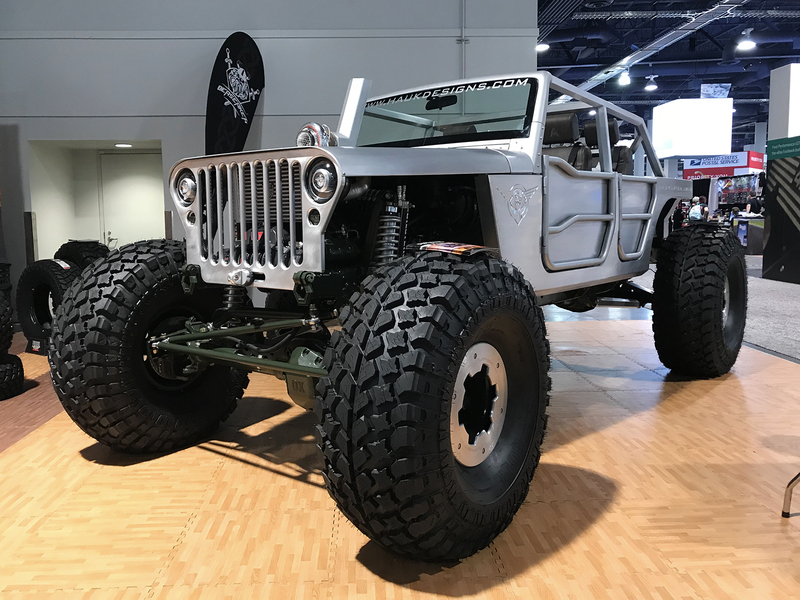 Some are tasteful, some absolutely are not. 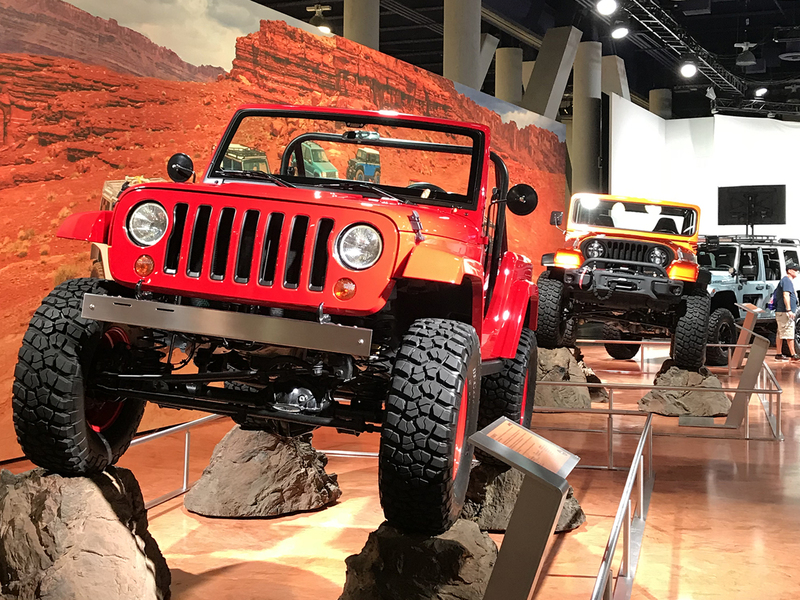 But all of them carry that special balls-to-the-wall exuberance that makes the Jeep Wrangler one of the most fun trucks you can buy today. 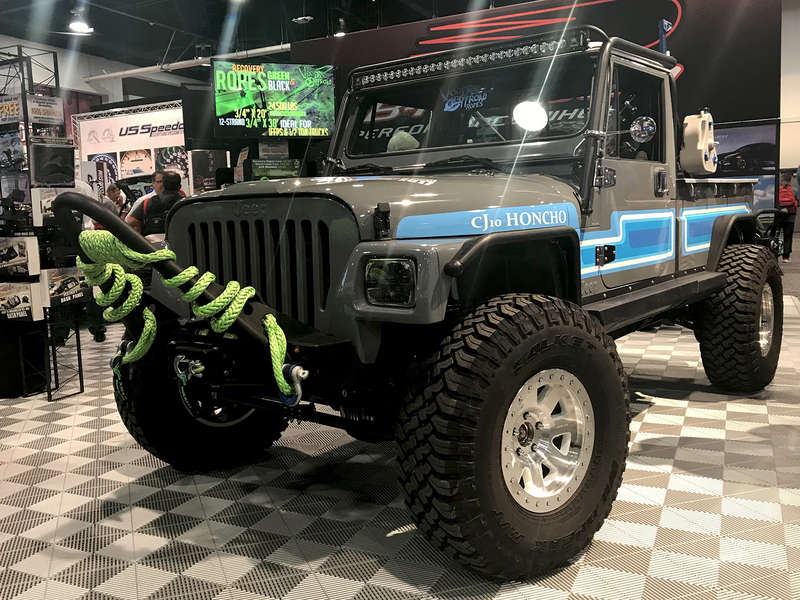 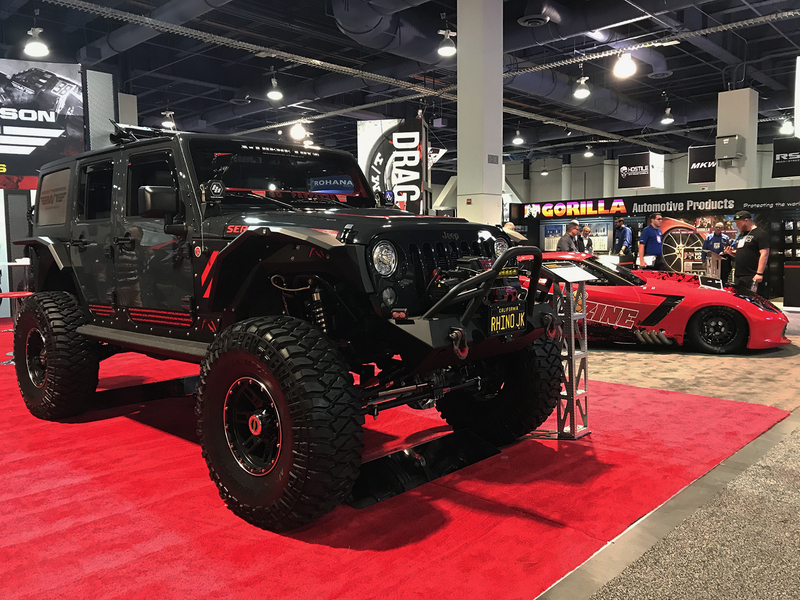 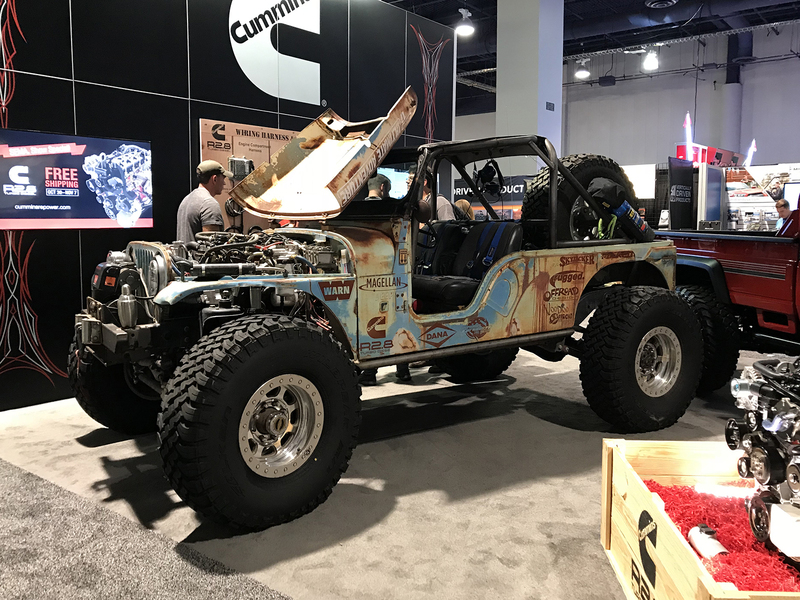 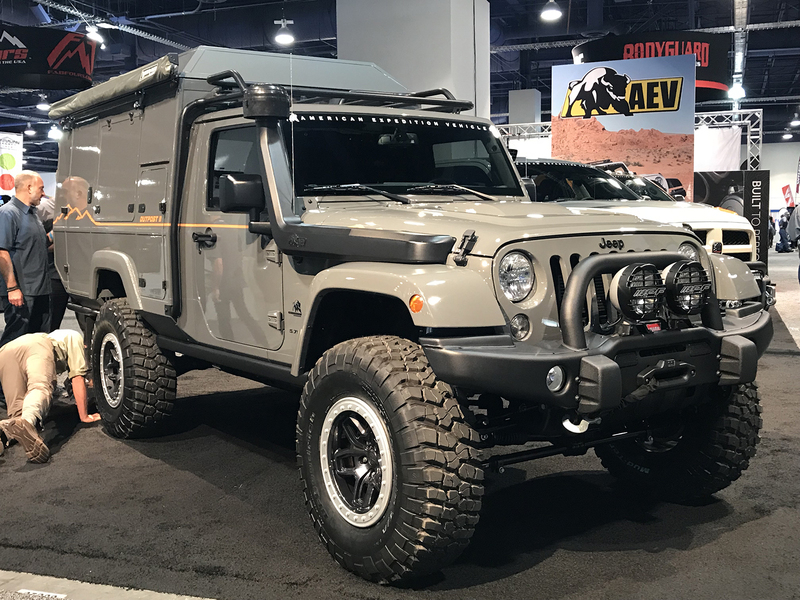 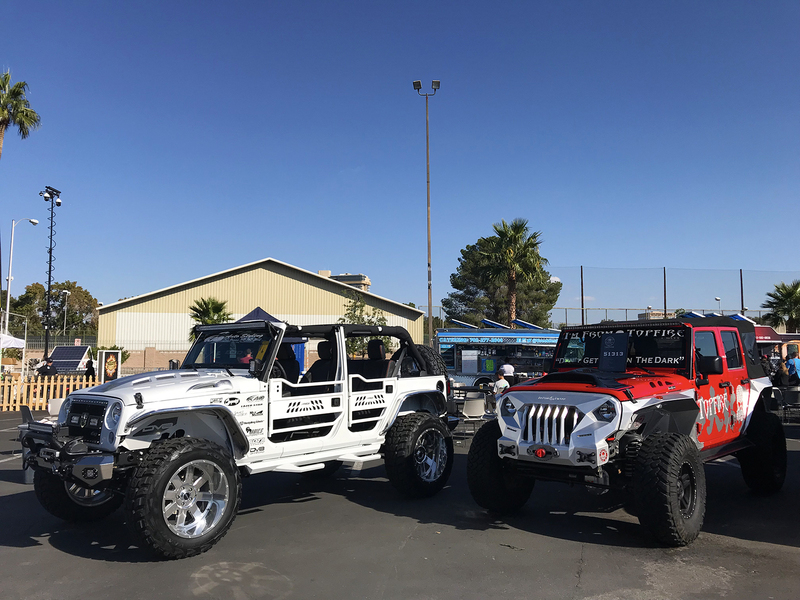 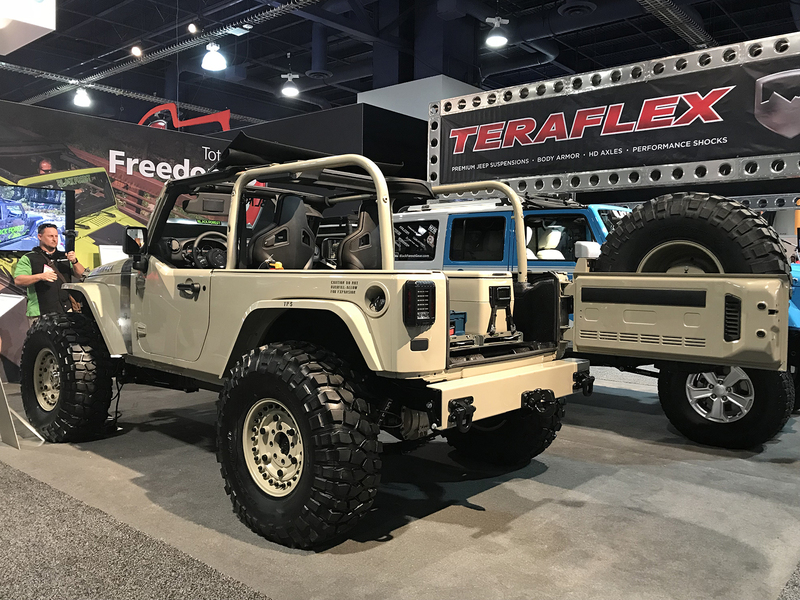 You could have spent an entire day staggering around the various halls of the Las Vegas Convention Center this week just trying to document every single custom Jeep Wrangler on display. 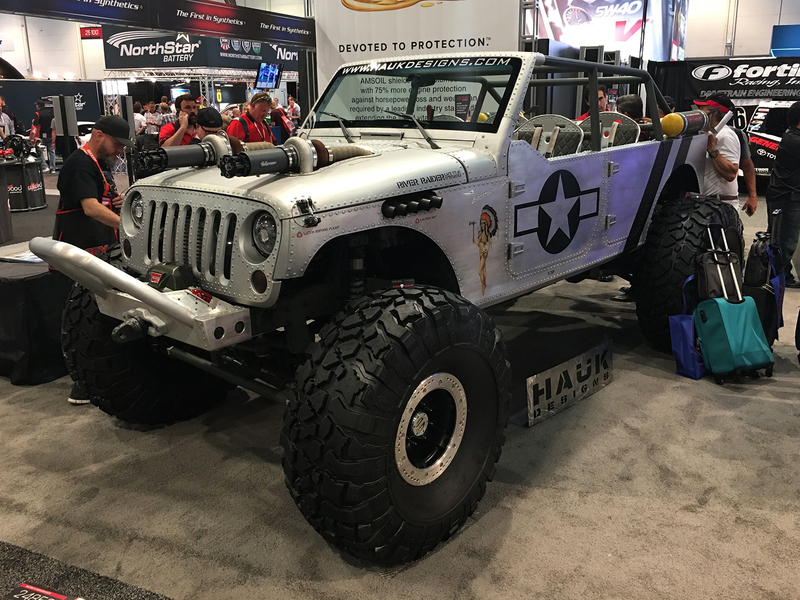 So we did. 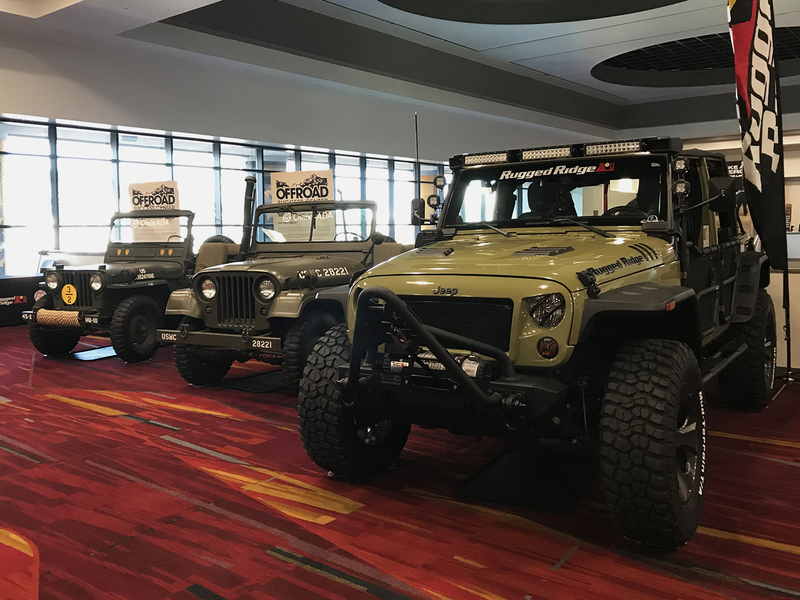 When you're looking through the pictures, remember: This is no desert mirage. 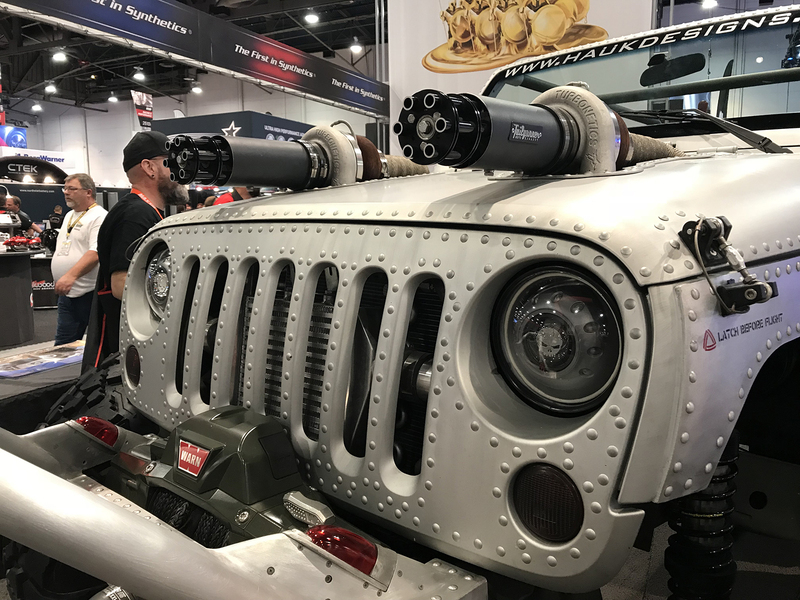 This Jeep also has two fully-functional train whistles. 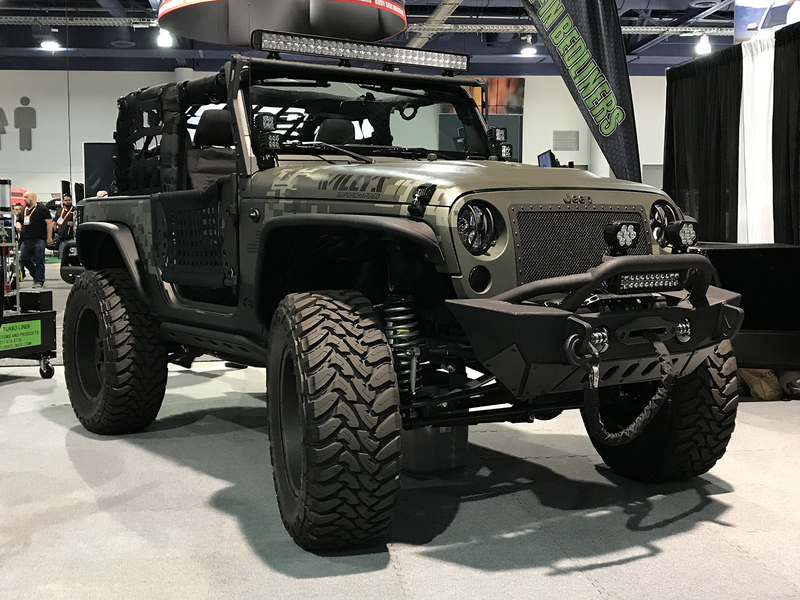 Stop what you are doing and gaze into the round eyes of the 2018 Jeep Wrangler.